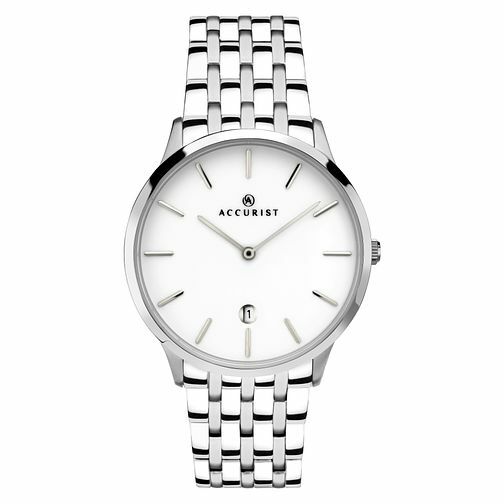 This Accurist Signature men's classic timepiece with durable solid stainless steel bracelet exudes sophistication and minimalist style. The case features a white ceramic dial providing ultra-clarity and benefits from sapphire crystal glass for scratch resistance and date display. The watch is water resistant to 50 metres and includes a 2 year guarantee.